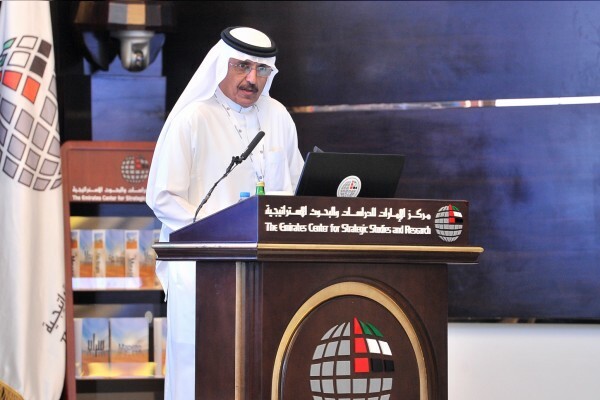 (Abu Dhabi) – Dr. Abdulaziz Al Owaisheq, Gulf Cooperation Council, GCC, Assistant Secretary-General for Political and Negotiations Affairs, highlighted the importance of the strategic partnership between the UAE and Saudi Arabia, as the two largest Gulf and Arab economies with effective and strategic political and military systems. 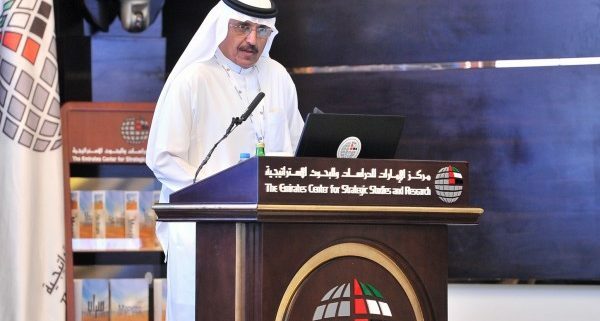 During a lecture organised by the Emirates Centre for Strategic Studies and Research yesterday, titled, “The UAE and Saudi Arabia: A Strategic Partnership,” Al Owaisheq noted the strong ties between the two countries, their integrated overall visions and directives, and their agreement on all topics and issues. He also pointed out that this partnership aims to maximise their advantages, which will improve the well-being of their citizens and maintain the region’s security, in light of external threats. Al Owaisheq then spoke about the “Emirati-Saudi Coordination Council,” which held its first meeting in Jeddah in June and was chaired by His Highness Sheikh Mohamed bin Zayed Al Nahyan, Crown Prince of Abu Dhabi and Deputy Supreme Commander of the UAE Armed Forces, and His Royal Highness Prince Mohammed bin Salman bin Abdulaziz, Crown Prince and Deputy Prime Minister and Minister of Defence of Saudi Arabia. The meeting saw the announcement of an overall strategic partnership between the two countries. He added that the council, which was established in May 2016, is part of the “Gulf Action System,” is a pillar of joint Arab action, and aims to create a joint vision between the two countries that will strengthen their relations, in line with the GCC’s goals and to create an integrated economic system.